I managed to secure 2 of these war-time covers.....what a snip! 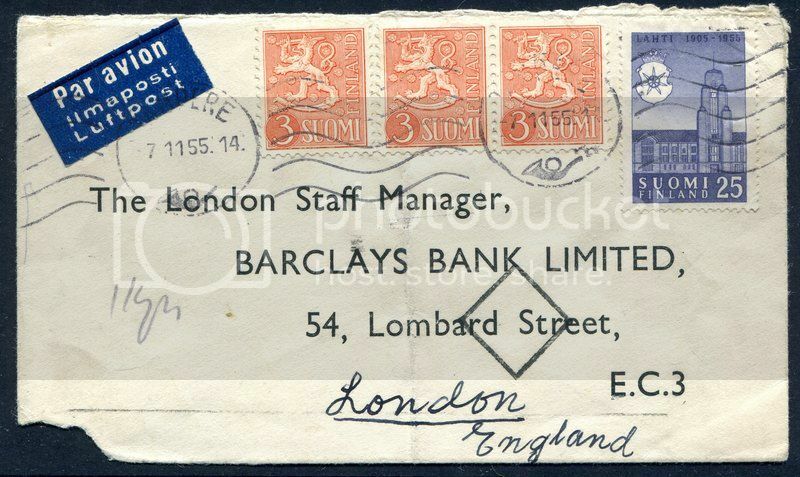 I'm not an FDC / covers collector generally but I would have grabbed that one. Love the caricatures. Here are a couple I picked up recently from e-bay. 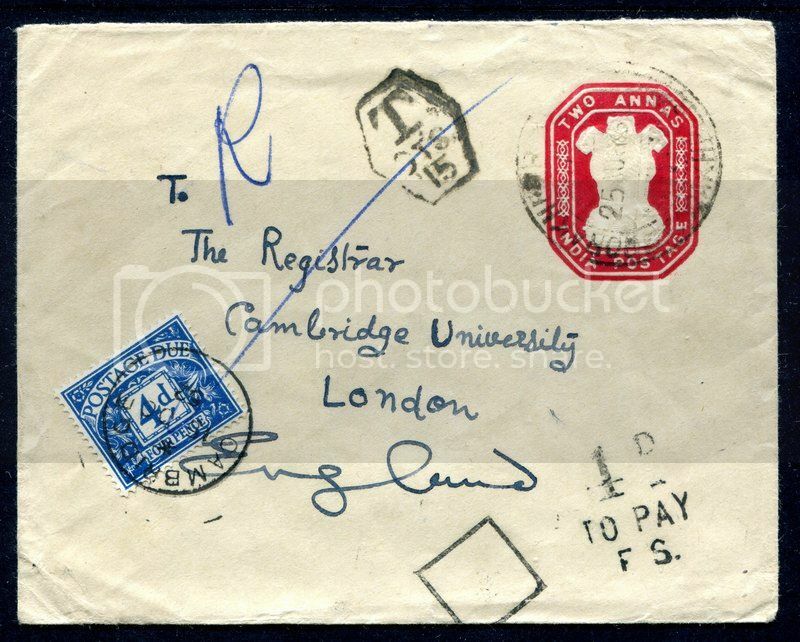 Taxed cover from India to UK which also shows the diamond census marking. 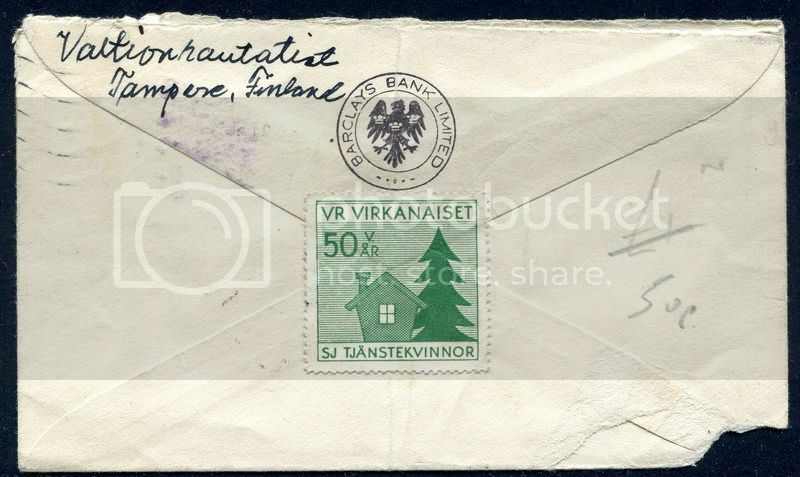 Another from Barclays Bank in Finland to the UK, also showing the census marking. And a cinderella unknown to me on the rear. 1973 - Pretty - amazing! This one is out of my collection now. I stopped collecting Tin Can Mail so it was sold to another forum member - but I still have the scan and well worth another look.